2016 CARAVAN ! ! ! SEA VIEWS ! ! ! 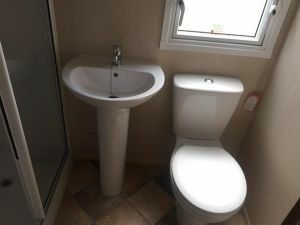 3-bed 2016 ABI Trieste with full central heating and double glazing. Lovely pitch with fabulous sea views. In a quiet spot just off the coastal footpath yet only a few minutes walk from all the facilities. No caravans to the front. One double bedroom, 2 twin bedrooms, double sofa-bed in lounge. Shower room with toilet. Additional WC. Devon Cliffs is the perfect place to enjoy a break, with its picturesque cliff-top setting which overlooks the sweeping, immaculate sands of a Blue Flag beach, and the holiday park is packed with great features and facilities. A fabulous holiday park right on the coastal footpath with direct access to a large sandy beach. So much to do at this 5* site. Duvets and pillows are supplied for all beds. Please bring own linen. The prices do not include the passes which can be purchased direct from the site. £100 fully refundable security deposit. This listing for a privately owned static caravan rental has been viewed 23337 times.